San Francisco: A 2016 document proposing cost cuts at Alphabet Inc’s Google, including fewer promotions and bonuses, sparked heated debate when it was shared inside the technology company for the first time this week, according to people familiar with the situation. 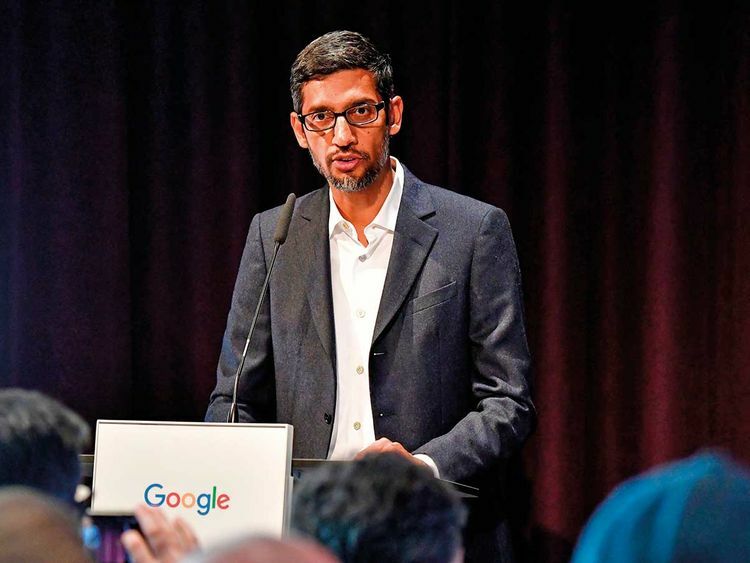 At a companywide town hall meeting on Thursday, Chief Executive Officer Sundar Pichai fielded questions about the proposals, some of which have been implemented, the people said. They asked not to be identified discussing internal activities. The document also discussed how the proposals could be best presented to employees to minimise frustration, according to one of the people. That caused the most anger among some staff after the document was circulated, said this person. Google declined to comment. While Google pays well and regularly appears near the top of surveys of the best places to work, it, like many companies, deals with compensation questions from employees around the start of each year. But this debate occurred at an exceptionally fractious time for the internet giant. Groups of workers have brought demands to top brass on a range of issues, including a lack of benefits for contract staff and the ethical use of artificial intelligence. Thousands of Google staff staged a walkout last year after a report that the company gave large exit payments to executives accused of sexual harassment. Beginning around 2015, Google started to rein in the company’s historically freewheeling spending. When Chief Financial Officer Ruth Porat joined later in 2015, she introduced even more fiscal discipline. Most of the cost cuts that emerged since then have focused on divisions outside the core internet business, such as drones, wearable devices and other ‘moonshots.’ The document circulating inside the company suggests the approach has been considered for the main Google division, too. The brainstorming deck also proposed reducing wage bumps when workers get promoted. It also suggested changing Google’s approach to ‘spot bonuses,’ sums that managers can award at any time of year. Managers receive emails reminding them to dispense this money. The slide deck proposed ending the emails, arguing that few people would notice. The proposal also included converting holiday gifts to staff into charitable donations — something Google did at the end of 2016. At the staff meeting on Thursday, Google confirmed the veracity of the 2016 document, although it was never presented to the company’s top management. Pichai said Google doesn’t have quotas on promotions and noted that the rate of promotion at the company has stayed relatively constant in recent years, according to another person familiar with the situation. If that proposal had been presented to him, he would have rejected it, the CEO added. Another executive apologised for the memo. Company executives answered questions submitted before the town hall meeting. One worker asked why Pichai was paid hundreds of millions of dollars, while some Google employees struggle to afford to live in Silicon Valley. Pichai said that Google is based in an area with a high cost of living, something the company has little control over. Google organised the town hall weeks ago — after several employees asked questions about compensation during year-end planning meetings with managers. A recent employee survey showed satisfaction with pay had declined from a year earlier, albeit from high levels. That sparked debate among some workers on Google’s internal message boards, and the 2016 slide deck emerged during those discussions. After the meeting, some employees thanked Pichai for candid answers, via the company’s internal messaging boards.